Look for dry brushes with natural bristles. If your skin in sensitive work the brush with very light strokes. 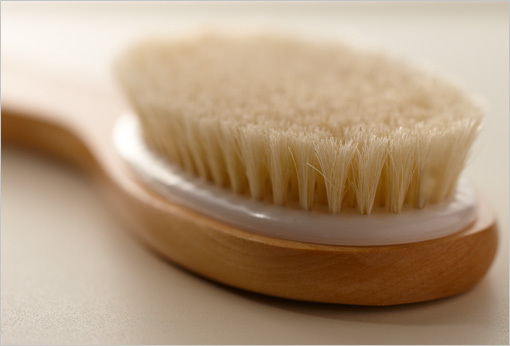 Sometimes I will use horsehair brush, used for shining shoes as the bristles are softer. The art of dry brushing is in JENNIFER MAC's The Right Blend: Blender-only Raw Food Recipes.